When in Dallas, we had to sport cowboy hats! Nine Family Friendly Things to Do in Dallas in the Spring: and really any time of year! 1. 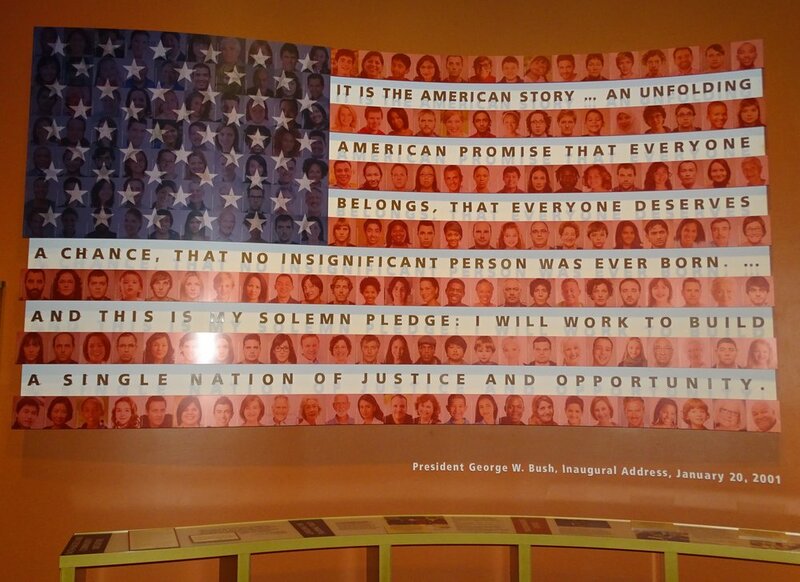 Research presidential history at the George W. Bush Presidential Library and Museum and learn about the 43rd American president’s years in office from 2001-2009. There are many exhibits children will enjoy, including a massive reading nook honoring the First Lady’s dedication to literacy, a collection of baseballs from tee ball games played on the South Lawn of the White House, interactive touch screens with presidential trivia, and info on the three “first” dogs, and artifacts from holiday traditions, like the Easter egg roll. 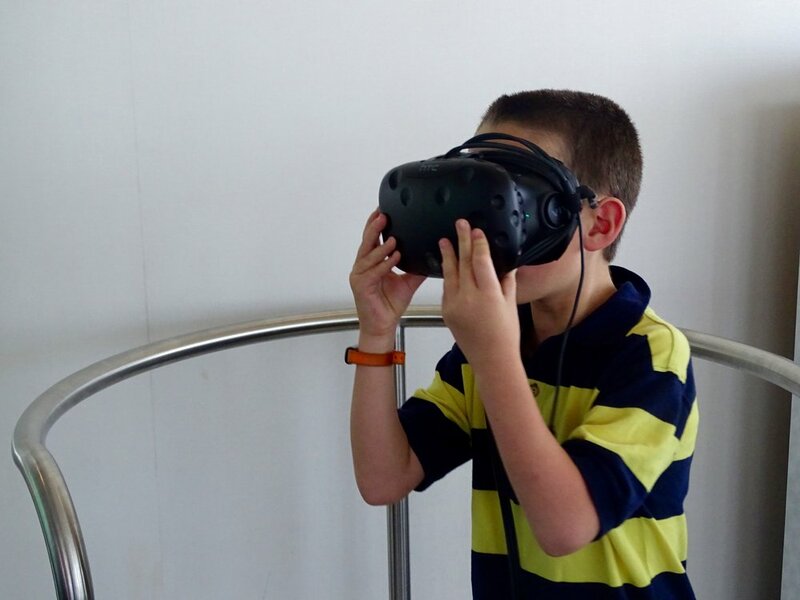 Traveling with Kids: Plan to spend about 90 minutes to two hours to fully explore the exhibits. The Center is located on the campus of Southern Methodist University and includes two options for dining, a courtyard cafe and a more formal restaurant. There is a parking lot across the street and additional parking in nearby SMU garages. Read our full post on the museum here. 2. 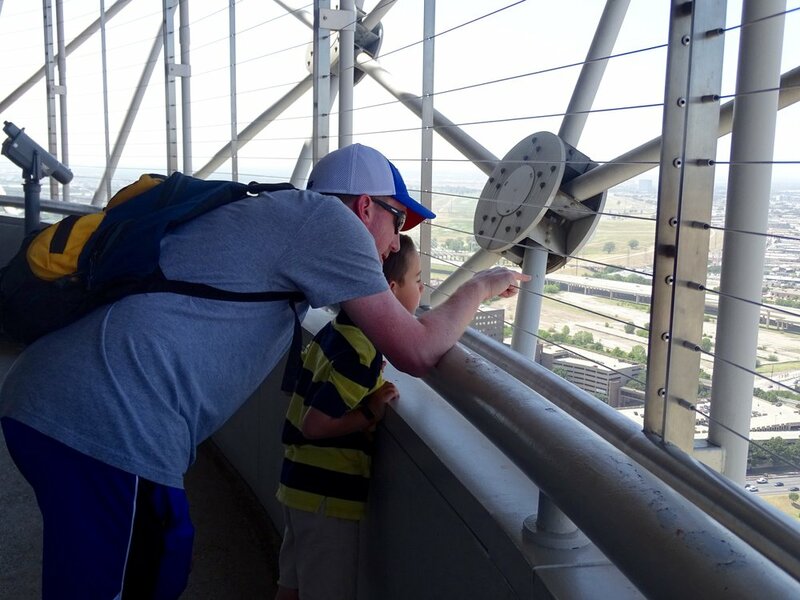 Get a bird’s eye view of the city at the GeO Observation Deck at the top of Reunion Tower. It’s the best way to get views of the city fifty stories (and almost 500 feet) in the air! The sphere includes three stories: the GeoSphere for observation, the Cloud Nine cafe offering to go food items, and finally, at the very top, Wolfgang Puck’s Five Sixty, a formal restaurant and two bars (one rotates!) open for dinner. The GeO Deck allows visitors to walk outside full circle to get a view of the whole city. There are interactive screens, virtual reality experiences, and narrated videos on important Dallas history. 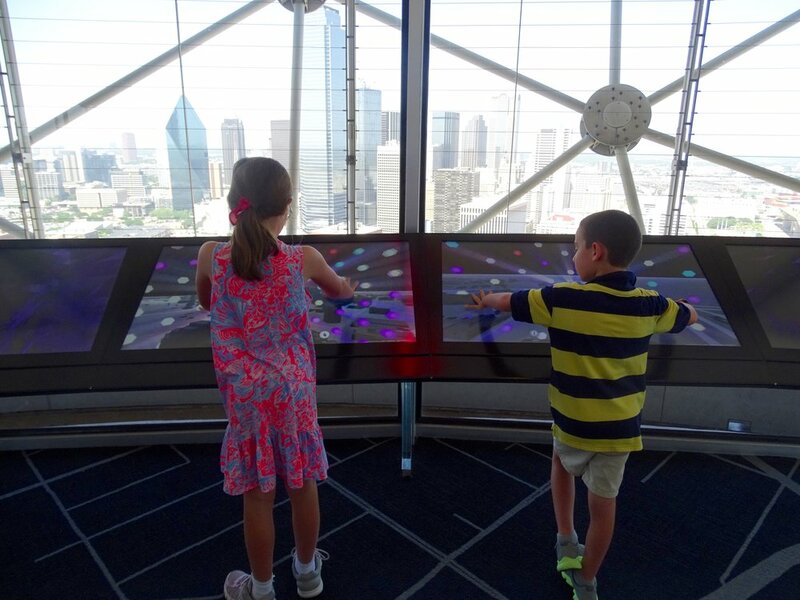 My children also liked the Reunion Tower Constellation where they could add their info (nothing too personal) to create an avatar and start a single star to start forming a constellation. Traveling with Kids: Park in the parking lot for the Hyatt Regency and follow the markers on the pavement. You’ll go through the hotel and purchase tickets at the Reunion Tower desk. There’s a station for photos with an attendant (and tons of props!) and the most reasonable pricing for photos I have seen at any venue! If you choose not to purchase photos, you can download a photo (and choose your own background) for free. Restrooms are located on the main floor near the ticket desk and on the GeO Deck. Strollers are allowed. 3. Meet and greet over 400 different species of animals at the Dallas Zoo. The 100+ acre park includes the Giants of the Savanna Exhibit, an 11 acre safari experience that lets visitors get super close with elephants, lions, and giraffes. Visitors can also purchase food to feed giraffes, lorikeets, and birds. Kids will especially love the Lacerte Family Children’s Zoo and the chance to feed birds, complete arts and crafts projects in the JC Penney Discovery House, and pet animals in the Farmyard. Save time for a ride on the Endangered Species Carousel. Traveling with Kids: Wear sneakers and definitely bring the stroller for tired feet- the zoo is huge! Check here for discounts and promotions on admissions. Visitors can bring in food to the zoo (just don’t feed it to the animals) and are allowed to leave and return on the same day. Bonus points for a Comfort Station for nursing mothers, located near the gift shop. 4. Complete dozens of science experiments at the Perot Museum of Nature and Science. There are 11 exhibition halls and countless ways to learn about our world and how it works. 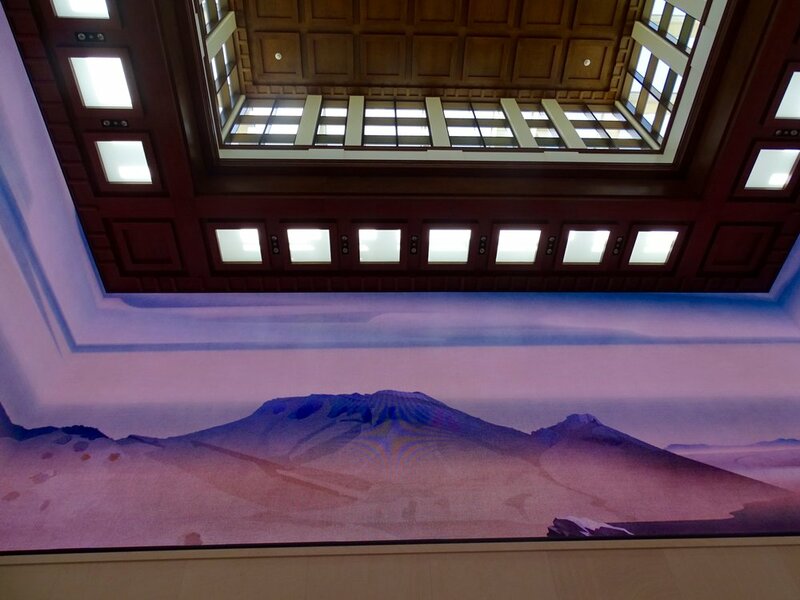 You can read about our favorite exhibits on our full post here. Traveling with Kids: Plan on spending the better part of a day here- the museum is massive- and bring the stroller. There is a cafe on site, offering locally grown food and drinks. Parking is at the garage located under the Woodall Rodgers Freeway with a crosswalk connected to the museum. 5. 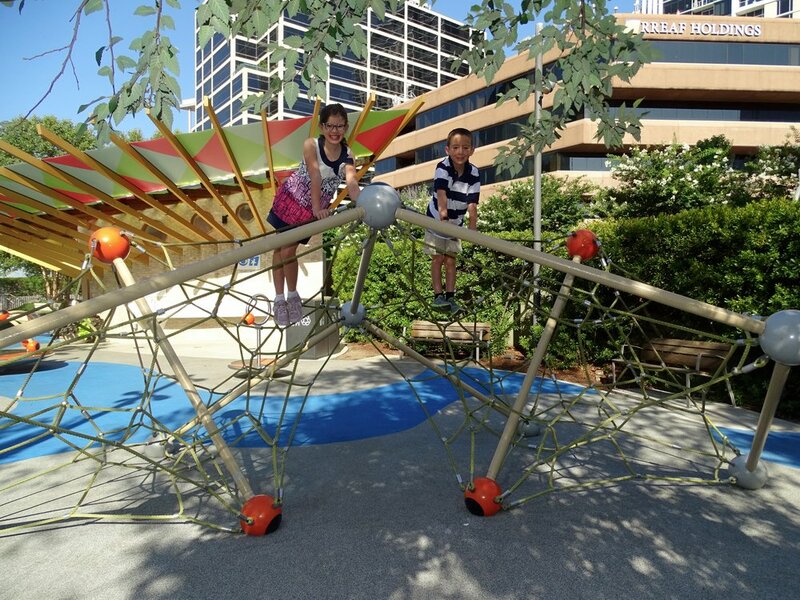 Be a Kid again at Klyde Warren Park. The 5 acre park- in the middle of the city- includes a great playground area with artificial turf and a rubber flooring, climbing structures, splash pads and water features, and table games like foosball and ping pong; one side of the park even has a putting green! In the middle there’s a restaurant with indoor and outdoor seating and tables and chairs spread all over the park. There are even mile markers to help visitors track steps. Traveling with Kids: There are bathrooms and an outdoor changing station with sink. Parking is available on the street ($2/hour with a two hour max) and valet parking if dining at the restaurant. 6. Pay tribute to the John F Kennedy who was assassinated on November 22, 1963 at the Sixth Floor Museum at Dealey Plaza. Kennedy was shot by an assassin on the sixth floor of the Texas Schoolhouse Depository, a warehouse for school books, which has now been turned into a museum. Check in on the first level to purchase tickets and get a personal iphone with audio tour. If the museum is crowded, there is a brief wait to go to the sixth floor where the majority of the exhibits are located, as that space can get crowded. The staff will send up 12 people every other minute, so the wait should be brief. The audio tour narrates approximately 40 stations of photographs and information, starting with Kennedy’s family background and election to post assassination conspiracy theories. Each station narration is about two minutes and often includes first hand accounts from witnesses and people involved in the tragedy. Most displays are photographs but there are some artifacts like newspaper clippings. There are also two recreated areas that look exactly as they did in 1963. On the seventh floor, there is a collection of photographs of and quotes by Robert F. Kennedy and Martin Luther King, Jr. with a pair of mosaic portraits of John and Jack Kennedy made from 50,000 photos of each other. Leave time to walk outside to the grassy knoll and the reflecting pools. Look for the two “x” marks on the highway where Kennedy was shot. Traveling with Kids: This museum is definitely geared towards older children. My 8 and 10 year old kids were engaged, but I saw a few toddlers in strollers who were quickly bored and unhappy. No photographs are allowed in the museum or gift shops. There is a small gift shop located on the main level and a larger store and cafe located across the street. Parking lots nearby charge approximately $10 or there is street parking for $1.50/hour, four hour maximum. 7. Build every and any imaginable structure with legos at the LegoLand Discovery Center in nearby Grapevine, about 25 minutes northwest of Dallas. The center has tons of hands on exhibits like the Build and Test track, three rides (Merlin’s Apprentice, Kingdom Quest, and Forest Ranger Pursuit), a 4D cinema with numerous short films, and, of course, opportunities to build everything imaginable with a (seemingly) endless supply of legos. Be sure to leave time to check out MiniLand, with lego replicas of popular Dallas sites. 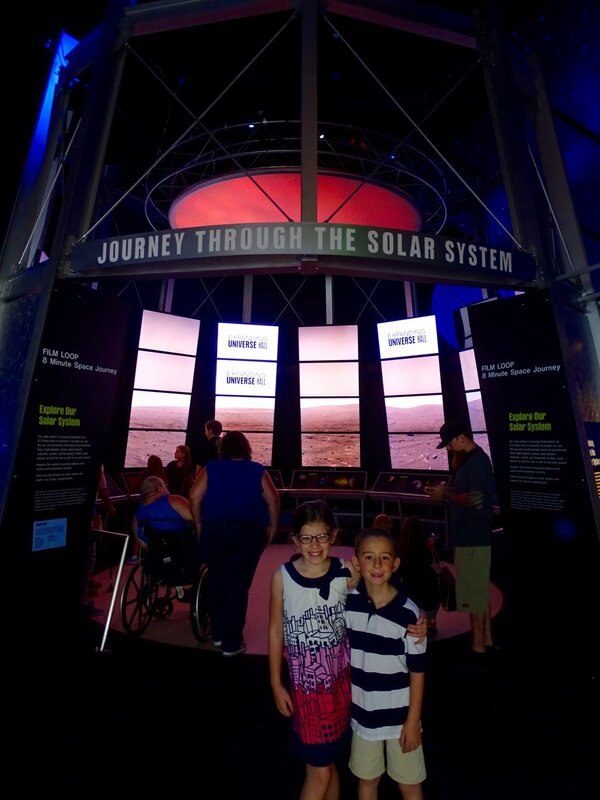 We have visited the Boston Discovery Center and loved it- read about our adventures here). Traveling with Kids: Purchase discounted tickets online ahead of time. There is a cafe with snacks, meals, and drinks and plenty of restroom facilities. Parking is available at the Grapevine Mills Mall. 8. 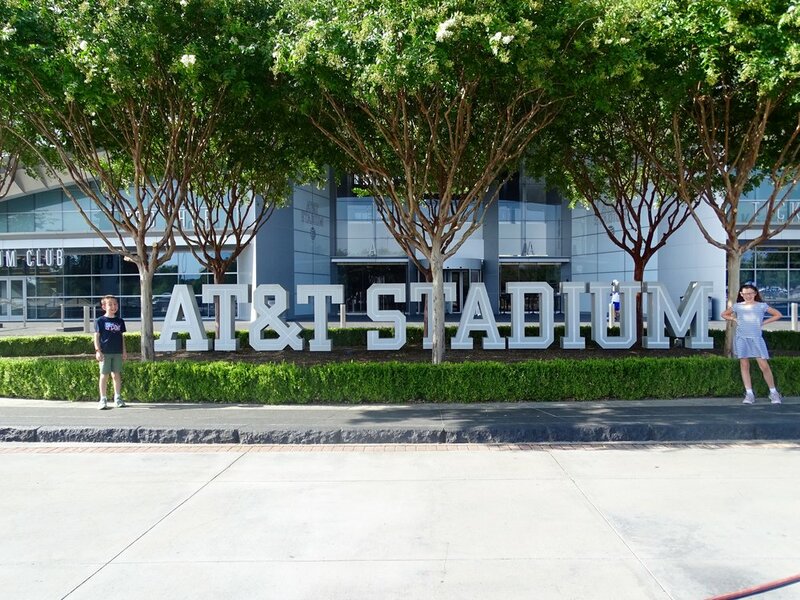 Root for the Dallas Cowboys at AT&T Stadium in Arlington. The stadium, the largest and most expensive NFL stadium ever built (at the time it was built in 2009) hosts football games, tons of concerts, and other athletic competitions, like the Cotton Bowl Classic. Don’t miss the large art collection on display, the offices of the Cotton Bowl, and a pavilion with a display of Ford cars and trucks. Tours are offered most days- you can read our full post on touring the stadium here. Traveling with Kids: Older children will enjoy touring the stadium and being quizzed with tour guide trivia. Games are fun and energetic (and sometimes loud!) and there are plenty of places for kids to visit during games. Family restrooms and various concessions are located on every level. Check here for maps of each level of the stadium. Small strollers and small bags are allowed (be prepared to have bags searched). 9. Try and catch a fly ball at a Texas Rangers game at Globe Life Park. The Rangers play April- September (and hope to have a post season in October!) but visitors can tour the park all year long. The park is very family friendly and kids will want to check out the air conditioned Kids Zone. Traveling with Kids: Consider signing your children up for the Jr. Rangers Club, with perks like hats, jerseys, backpacks, badges, and tickets to games! Make sure to get your “first visit” certificate from guest services. Kids can run the bases after most Sunday afternoon home games. There are tons of dining options during games. There are plenty of lots for parking cars. We love exploring baseball parks- you can read all the reasons why on our post here. If you want to check out some of my other City Guides, click here. And if you want to follow along on our adventures, please “like” us on Facebook and follow us on Twitter and Instagram. Disclaimer: I was provided media passes to visit some of these locations. All opinions expressed are my own.